Buy or Lease a New 2018 Nissan Armada at Balise Nissan of West Springfield Today! Loan or Lease the New 2018 Nissan Frontier at Balise Nissan of West Springfield Today! Can't Decide Which 2018 Nissan Model is Right For You? Balise Nissan of West Springfield Can Help! 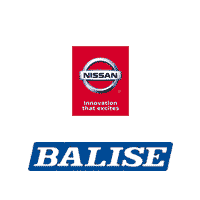 Balise Nissan of West Springfield Wants Your Used Car!